The university is the latest organisation to host the 3 branded Choose2Reuse bins. Employees will be able to leave good-quality donations in the bins on 24th June. The donations will then be taken along to local charity shops in Chelmsford. It is hoped that this will become a regular feature at the university, reaching both students and staff. The directory includes useful information listing the community and regional groups located in the Eastern region by giving their contact details and a including a short explaination of the work the group does. There is also a section showing how to get in touch with your local authority. Kerbside collection of batteries and textile is provided to low-rise buildings in Harlow. These services operate separately from your blue box and white bag scheme. 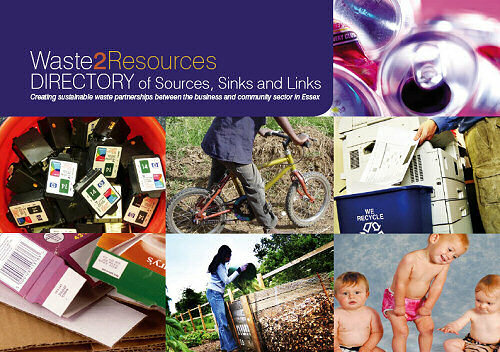 Waste2Resources is DIRECTORY of Sources, Sinks and links for creating sustainable waste partnerships between the business and community sector in Essex. Kerbside collection of batteries and textile is provided to low-rise buildings in Epping Forest. These services operate separately from your blue box and white bag scheme.